Join USME at the Neonatal Symposium! US Med-Equip Austin Branch Upgrades to New Facility! US Med-Equip Makes Inc Magazine’s List of Fastest Growing Companies for the 5th Time! Hyatt Regency in Jacksonville, Florida! What is the First Neonatal Symposium? Since 1996, the First Coast Neonatal Symposium has presented neonatal care professionals with the opportunity to expand their knowledge by providing diversified topics and presentations on the latest evidence based practices. For years, USME has participated in this symposium, with the intention of exhibiting our capabilities as a movable medical equipment company for the NICU department. Charlie Dykes, Business Development Representative – Gainesville, FL. Charlie Dykes has almost 15 years of experience in the healthcare industry. Prior to coming to US Med-Equip (USME), Charlie was an Area Manager with Lincare – a homecare company. Throughout his career -whether in operations, clinical, or sales – he has maintained a level of integrity within his career that has made him a very reliable and valuable partner in the healthcare community throughout the Southeast. “The value I bring to the industry is not only the best equipment solutions nor is it the best customer service but the value I bring is being a reliable partner that each facility can count on; every patient, every need, every time” is what Charlie says drives him each day. With USME, Charlie opened the first Florida location and has continued to help support the healthcare community which he now does throughout South Alabama, South Georgia, North Florida, and the Florida Panhandle. 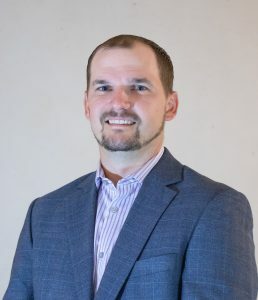 Jimbo has a BS in Respiratory Therapy from the Medical College of GA. With 12 years of respiratory experience as a Registered Respiratory Therapist (RRT) its no wonder Jimbo is well versed in the healthcare industry. 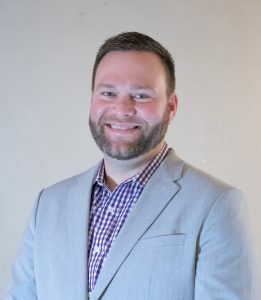 In the recent years, he worked for CareFusion in HFOV sales and global marketing and in June 2018, he joined USME as a Regional Sales Director for the East. Jimbo proudly serves the East ethically taking every aspect of his job seriously, caring for the health facilties, its faculty and its patients. ← USME Invites You to the MD Expo! Here’s 10 Equipment Pieces to Have in Your NICU Fleet! USME Invites You to the MD Expo! We Take Care of Our Partners. We Raised Over $10,000 for The Periwinkle Foundation! For the 6th Time, USME Earns Spot on INC 5000 List of America’s Fastest Growing Private Companies!